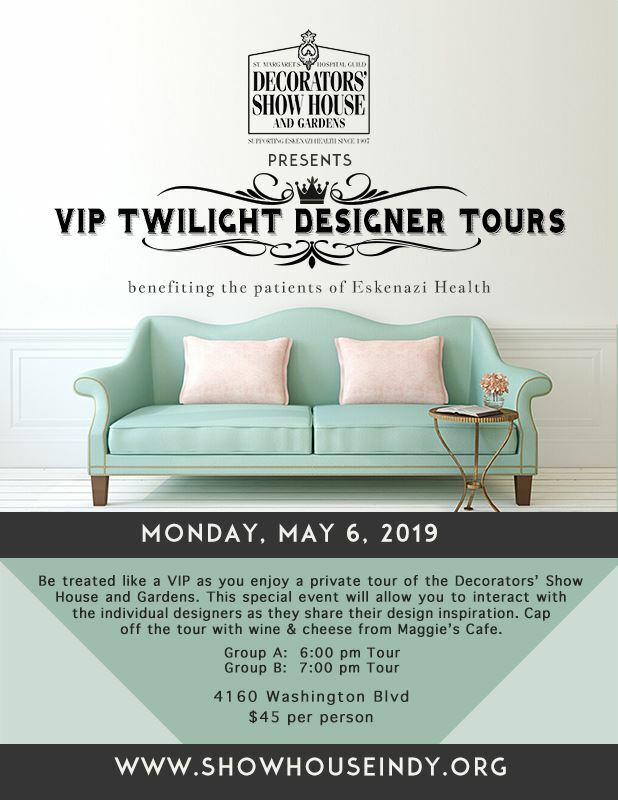 Be treated as a VIP as you enjoy a private tour of the Decorators' Show House and Gardens. This special event will allow you to interact with the individual designers as they share their design inspiration. Cap off the tour with lunch provided by Maggie's Cafe. Tickets are $45 per person. Register by clicking here! 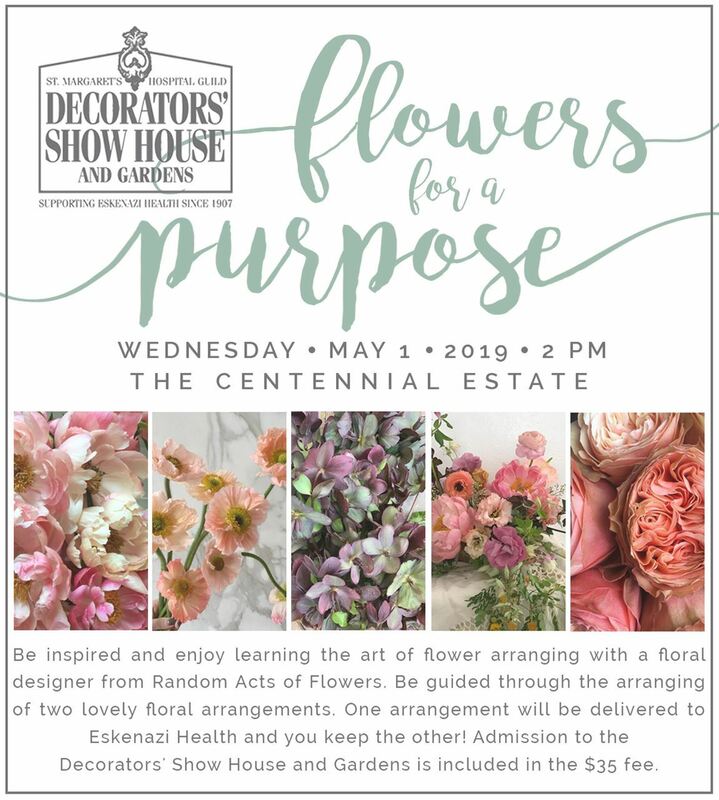 Be inspired and enjoy learning the art of flower arranging with a floral designer from Random Acts of Flowers. You will be guided through the arranging of two lovely floral arrangements. One arrangement will be delivered to Eskenazi Health and you will take one with you. 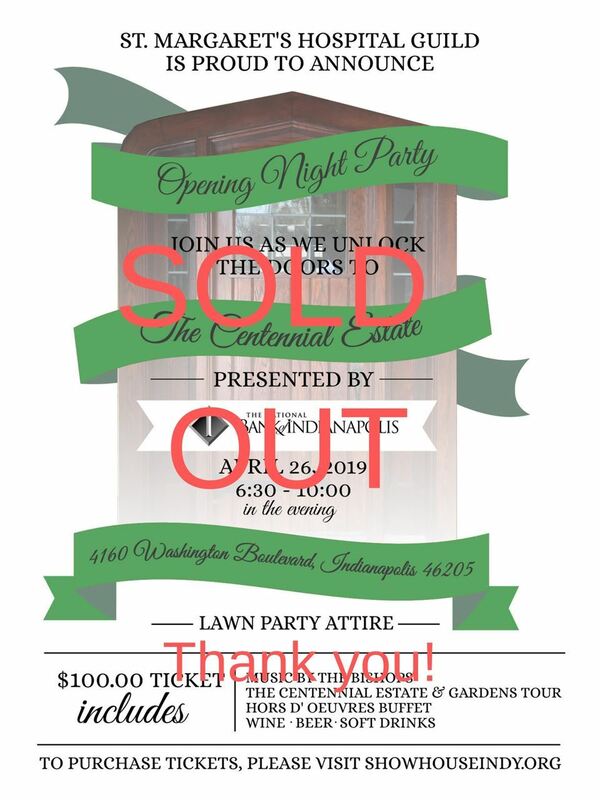 Admission to the Decorators' Show House and Gardens is included in the $35 fee. Register by clicking here! 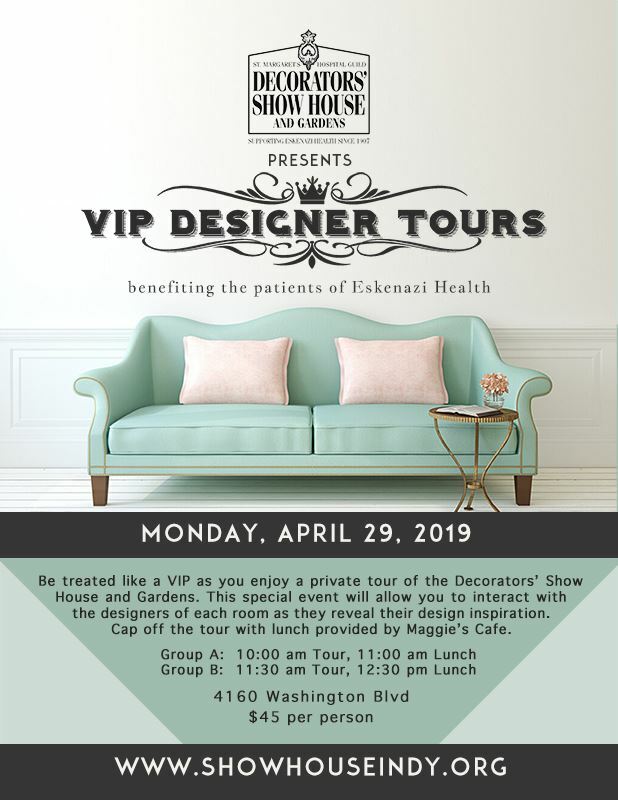 Be treated as a VIP as you enjoy a private tour of the Decorators' Show House and Gardens. This special event will allow you to interact with the individual designers as they share their design inspiration. Cap off the tour with wine and cheese from Maggie's Cafe. Tickets are $45 per person. Register by clicking here!